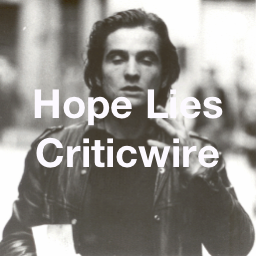 Herein lies the latest Hope Lies Monograph, timed to coincide with the release of Christopher Nolan’s The Dark Knight Rises. 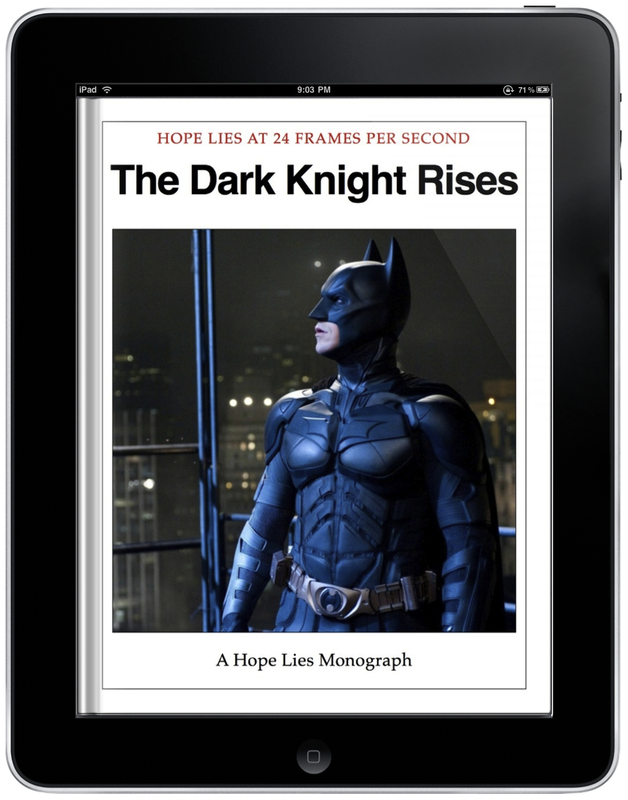 Completed with a number of essays on the rest of Christopher Nolan’s oeuvre, our The Dark Knight Rises Monograph is amongst the lengthiest to date. Here are a couple of pages from the The Dark Knight Rises Monograph, to get an idea of what delights awaits thee. Click on the stills for full size images. 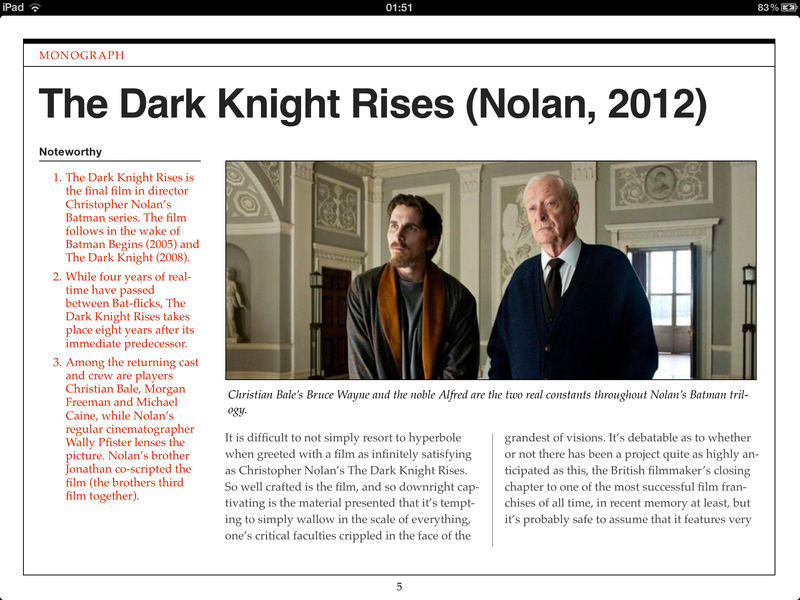 The Dark Knight Rises edition of the Monographs is available from iTunes. Click HERE to be taken to it.